In 1932, Tel Aviv’s first mayor, Meir Dizengoff, opened an art museum in the city in memory of his late wife. This unassuming building became the location of the historic Declaration of Independence on May 14, 1948 by the National Council and its chairman, David Ben-Grurion. In 2010, a program for planning, restoring and preserving Independence Hall (Beit Haatzmaut) was initiated. 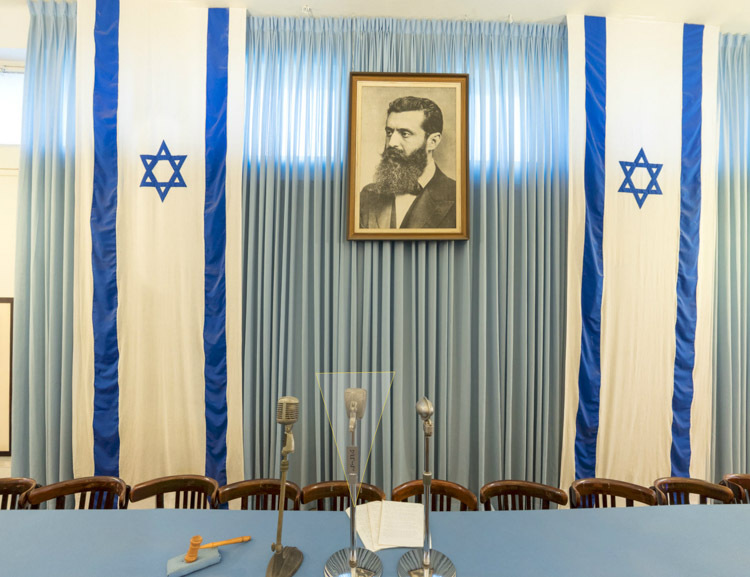 It is now a national museum dedicated to telling the story of the establishment of the State of Israel. The museum can now be virtually toured online through Ardon Bar Hama’s photography. From the exterior to the hall where independence was declared, to the film shown in the museum’s auditorium, every aspect of the tour can be experienced online.